Are You Prepared for Tougher Medicare Coding Reviews? When the Centers of Medicare and Medicaid Services (CMS) announced October 1, 2015 would mark the official switchover to the new ICD-10 coding standard, healthcare providers across America circled their calendars with deep concern. With so many physicians reliant on Medicare patients as a staple of their practices’ revenue, would their front offices be familiar enough with ICD-10 to accurately code Medicare claims? With 68,000 specific diagnosis codes to learn–expanding from only 13,000 ICD-9 codes–many practices dreaded that looming deadline as a virtual “Black Thursday”. Before coding errors after October 1, 2015 would create a glut of delayed or denied Medicare payments–wreaking havoc on inbound cash flow–doctors clamored for a smoother transition. 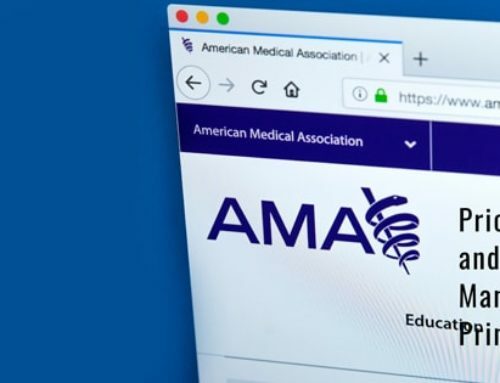 Thanks to negotiations with the American Medical Association (AMA), the CMS announced in July that October 1 would move from a “hard deadline” to the start of a one-year grace period: Medicare claims would remain generally payable if a claim was deemed close enough to correctly–coded within the general “family” of ICD-10 classifications. The leniency of the CMS grace period has been a blessing for billing staffs that faced the steep learning curve toward ICD-10 proficiency. For some, the process has been relatively easy. For others, mastering that protracted spectrum of diagnoses has remained a struggle. And with the October 1, 2016 end of the grace period on the horizon, Medicare billing will soon require more than a “passing grade”–miscoded or otherwise inaccurate claims will be met with a swift denial. Now is the time for every practice to take a hard look at the current state of their Medicare billing. Are their office staffs comfortable with ICD-10, or do “knowledge gaps” still exist? Can their revenue streams tolerate Medicare delays and denials, or will coding errors create troublesome financial hiccups? If a provider isn’t quite confident in their staff’s ICD-10 skills by October 1, they have two choices: invest in additional training in hopes that their staff will finally “catch on”, or consider an outside RCM partner that is fully adept at the subtle intricacies of ICD-10. We’ve had the foresight to prepare for the increased medical coding demand we expect following the end of the Medicare grace period. Our expanded team of over 300 AAPC/AHIMA-certified ICD-10 coders are ready to eliminate the confusion and errors that threaten to bog down the Medicare claims process. And our in-house auditors regularly check our work for accuracy before claims are submitted to Medicare–or other insurance payors. Can Infinx provide the right coding solution for your practice? Contact us to find out more, or meet our specialists at booth #1346 at the upcoming HFMA 2016 National Institute, June 26-29 at The Venetian/Palazzo and Sands Expo Center in Las Vegas. Attendees may schedule one-on-one meetings with Infinx RCM specialists at http://visit.infinx.com/hfma-2016/.